As the leading and still the preferred destination for shopping, NCCC is committed to provide their customers with all their shopping needs, highest quality of customer service and value for money. Thereupon, NCCC Supermarket celebrates its 40th year as a leading retail company in Mindanao, a lot of surprises are in store for loyal shoppers and patrons. 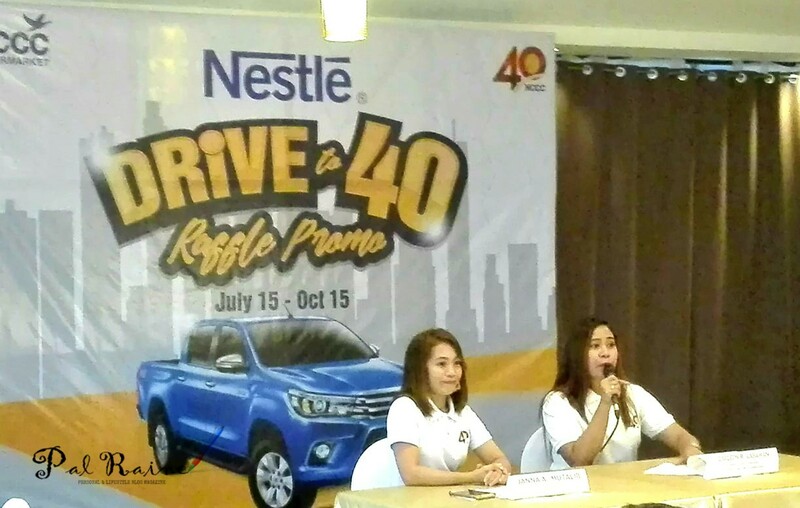 Today, July 15, the company officially launches DRIVE TO 40 RAFFLE PROMO. 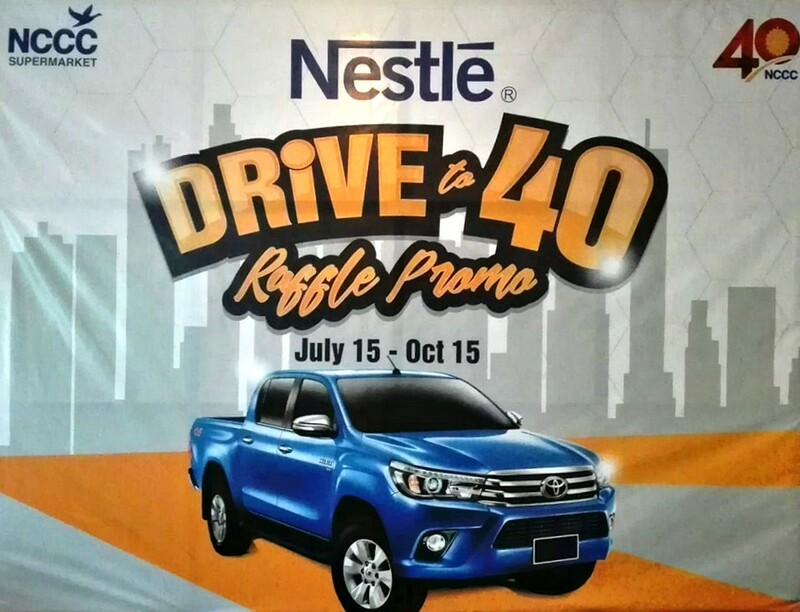 In partnership with Nestle Philippines, the said promo aims of giving out exciting prizes including a brand new TOYOTA HILUX (TAX-FREE). Open to all NCCC Supermarket shoppers. Get a raffle coupon by purchasing at least P300 worth of Nestle Products at Choice Mart and P500 at NCCC Supermarket. These products include MILO, COFFEE MATE, NESCAFE, BEAR BRAND and MAGGI Magic Sarap. 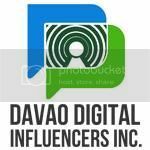 Submission of entries is on July 15-October 15. Grand Draw will be on October 29. Valid at all NCCC Supermarket branches. Visit NCCC Customer Care to know more! 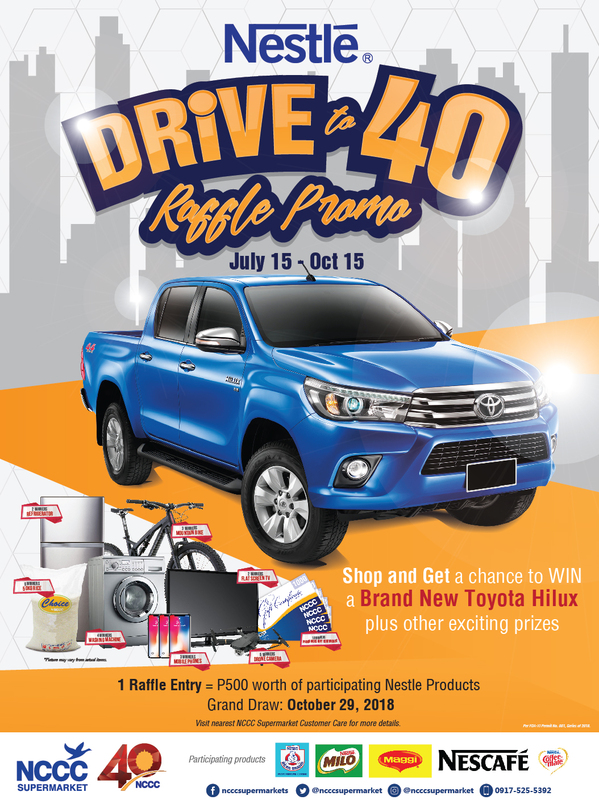 Aside from the brand new pick-up, other prizes awaits to lucky winners, such as mountain bikes, home appliances, drone camera, mobile phones, NCCC gift cards and a lot more. The #Roadto40 campaign of NCCC is a series of events and initiatives that the company plans to implement this year, with a special culmination on December 1. Continue following NCCC Supermarket's social media pages, FACEBOOK, INSTAGRAM and TWITTER: @ncccsupermarkets for more updates.